We are well into the swing of things post-Christmas excitement and we are learning all about ‘What goes in must come out!” as our theme for the next 10 weeks. This term we will be focusing on animals (including us humans) and then, after half term it will be all things plants based. The children have been really engaged in PE this term which is touch rugby and circuit training – in which they have designed their own warms ups and set themselves their own personal fitness challenges. Our maths at the moment is focusing on multiplication and division. The children are learning new strategies to multiply two digits by one digit and recognising related calculations for instance. PLEASE help your children learn (and I mean really learn, know inside out) their times tables – by Year 3 they are expected to be fluent in 2s, 3s, 4s, 5s, and 8s – but of course if they can learn any of the others then – go for it! If you are having trouble with Times Tables Rock Stars or Sumdog, please let me know. Other places to go for activities to do is BBC Super Movers – choose a times table to dance along with – they are so much fun and the children love it! As always, if there is anything you would like to talk us about, our door is always open to you. Yes, were are in December so we can officially mention Christmas! Just a quick reminder that the KS2 Carol Concert is on the 20th December at our West Wick campus, we hope to see as many of your there as possible in fine voice I trust?! This is the final week of our learning theme and the children have really enjoyed learning about the Vikings, the Celts, The Iron Age, the Romans, and the Stone Age. It has been a whistle-stop tour of quite a few thousand years of history but they are now making connections between the past and now and beginning to see how our country has evolved over time. This week’s spelling rule is using the ‘dge’ sound in words – take a look at http://www.spellingframe.co.uk Year 2 rules# 1, 2 and 3 for help with this sound in different spellings. Generally speaking I would say spelling is improving in the Year 3 class, so keep practicing and learning these rules as it is paying off. Phew! What a week! A huge thank you to everyone for making our trip to Caerleon such a great success. ALL the children from St Anne’s were outstanding and I for one was very proud to be with them. Special thanks also needs to go out all our adults helpers, without whom trips like this would simply not be possible. Needless to say the children (and adults) loved it and learnt loads. Here are a few pictures from the day. HELP NEEDED! parents and carers of Year 3 we need your help. We are an adult helper down for our school trip to Caerleon in Wales next week and desperately need a volunteer to come to our rescue! It is on Tuesday 27th November, all in school time. Please let me know ASAP if you can do it. In other news, we had a fabulous time and the North Somerset ‘Raise the Roof’ singing festival today. We were all so immensely proud of the St Anne’s Crew from both our Hewish and West Wick campuses, thank you! This weeks spellings are all about plurals. The children will be learning and revising the rule of how the ending change with regular nouns ending in ch, sh, s, x, or z . The words we are using this week are: possesses, mattresses, watches, relaxes, addresses, buses, coaches, watches, glasses, boxes. See this link for more information on spelling plurals. We have had a great time cave drawing in an Ug-style fashion – the children learnt how to use charcoal to create the effect of old cave drawings from 2.5 million years ago. 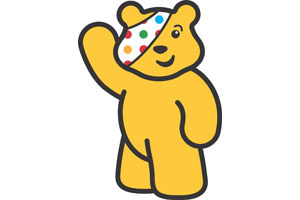 This week is Children in Need so don’t forget to wear something spotty for a small donation. Welcome back to term 2, yes, term 2 already! I do hope you all had a fabulous two-week break and are all ready and raring to go for the term ahead. There are lots of exciting things happening – our trip to Caerleon, Christmas Fayre, Carol Concert – let alone all the wonderful learning that happens each and every day! As I said at out Learning Review Meetings, we are having a big push on spelling in Year 3 – this week we are focusing on compound words (for more information on what they are have a look at this) there are hundreds of compound words and here are 10 examples we have been working on: football, playground, farmyard, bedroom, blackberry, lighthouse, teatime, classroom, bathroom, sometimes. In maths over the next few weeks we will be continuing with addition and subtraction. We use the column method (click here for examples). We will also be practicing missing umber problems and worded problems to ensure depth of maths knowledge. All support you can offer at home helps – talking about what maths you use every day helps build knowledge and confidence in maths. 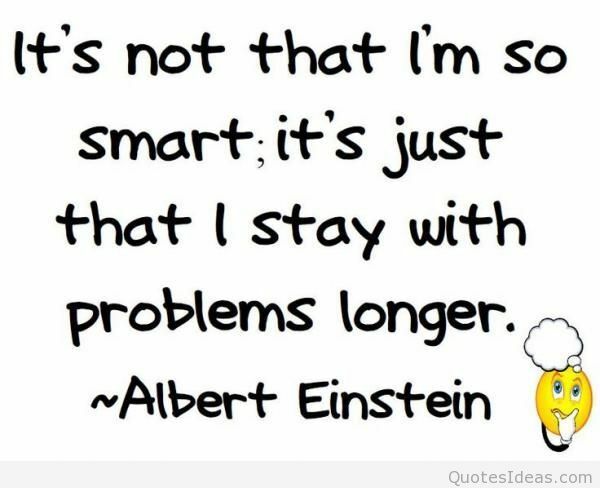 For example we use maths when we are shopping, getting to school on time, cooking etc. I have given the class logins for both Times Table Rock Stars (https://www.ttrockstars.com) and SumDog (https://www.sumdog.com) which are great fun and lots of maths learning. When using these websites and logins for the first time, your child will have to do a baseline test to see where they are (I will also be able to see this) can I please ask that you let your child do this bit on their own so it is true reflection of their understanding. Thank you. In time I will be setting tasks for them to do on these sites, but for now – login, have a play and get used to them! Another resource that we use in class that I know some people have looked at at home is BBC Supermovers this is a fabulous ‘go to’ website for KS2 (and KS1) practice for times tables as well as SPaG help (Spelling, Grammar and Punctuation) we have been using the 3 x times table one quite a lot in class as the children need to know these (by the end of Year 3 they are expected to know 2s, 3s, 4s, 5s, 8s and 10s) so any extra practice will always be welcome! Thank you to those of you who have volunteered to help on our trip to Caerleon next month, thankfully we have enough people to help us. Next weeks spellings are: here, hear, heel, heal, main, mane, mail, male, knot and not – oh yes, those tricky homophones and near homophones (words that sound the same but are spelt differently with different meanings). Take a look at www.spellingframe.co.uk rules #21, 22, 23 and 24 are all good practice! Spoiler alert! This is a sneaky preview of next weeks’ spellings: it is the ‘ear’ spelling that sounds like ‘ur/ir’. Earth, early, learn, heard, earn, pearl, search, unearth, earl,rehearse. A letter went out last week about our exciting trip to Caerleon near Newport on the 27th November 2018 (it is a Tuesday). We really need at least one more adult to help us on the trip, if you can help please let us know ASAP. Thank you! This week’s spellings are using the long ‘a’ vowel sound, using the ‘ai’ sound. The words are : straight, campaign, contain, brain, waist, claim, praise, complaint, afraid. This week we have begin to learn about the Anglo-Saxon as part of our ‘They came, they saw, they conquered – who were they?’ theme. The class split into two families – Anglo-Saxons and British and discussed what they were going to do about the invaders and had a vote. Needless to say they all decided to fight! Here they are in action with their ‘chieftain’ taking control of the discussion. This afternoon we also tried our hand at designing Anglo-Saxon jewellery. Welcome Sheet and Learning Theme Hewish Year 3 terms 1 & 2 Please take a look at what we will be learning over the next two terms. If there is anything you are an ‘expert’ in and would like to come in a talk to the children about, we’d love to hear from you. This week we have been archaeologists and uncovered some interesting artifacts from the six different eras we will be learning about. Some careful handling and clever detective work was used to match the artifact to the time period – good work Year 3 crew! Go to Year 3 & 4 and it is rule #2. We will be working through each rule, each week. This week we will be historians, geographers, writers, readers, mathematicians, artists, athletes, computing experts…the list goes on! Our learning theme for Terms 1 & 2 is They came, they saw, they conquered…who were they? and we have kicked off with the children learning about chronology and time lines going way back to the Stone Age. The children have been investigating artifacts and other resources. This week we are building on this with recapping our knowledge on the British Isles as well as making some Viking shields. In maths this week, we will continue to focus on place value and really understanding what this means and how we use it in every day life. You will notice that some of the words I have highlighted, these are key vocabulary words that we use in class, ask your children about what they mean – great way of finding out from them what we actually do in class! I can honestly say I woke up this morning very excited about coming into school and welcoming the new Year 3 crew into their classroom. What a treat to see such eager faces beaming with enthusiasm for the year ahead. Starting our year off we have introduced three simple school rules.